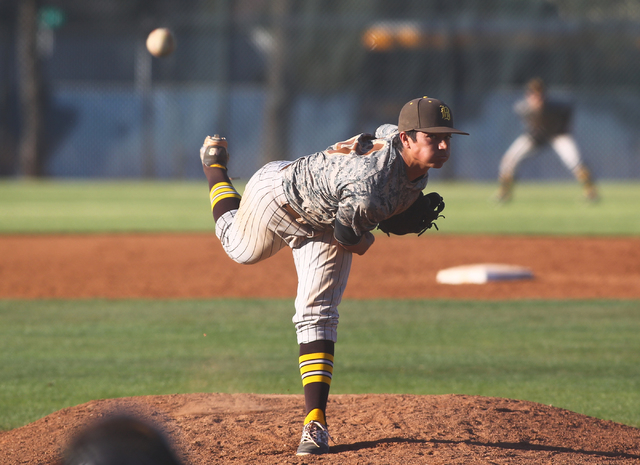 Mike O’Rourke was standing about 10 feet away from the play, so the Bonanza baseball coach knew better than anyone if the Bengals caught a break. But he wasn’t about to divulge whether Alec Taft was out. 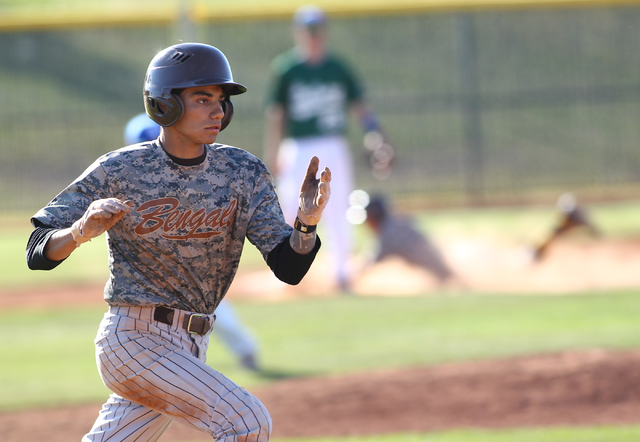 Keith Werner broke open a close game in the fifth inning with a three-run home run shortly after the Bengals benefitted from a controversial call, and visiting Bonanza went on to a 9-5 victory over Green Valley on Friday. 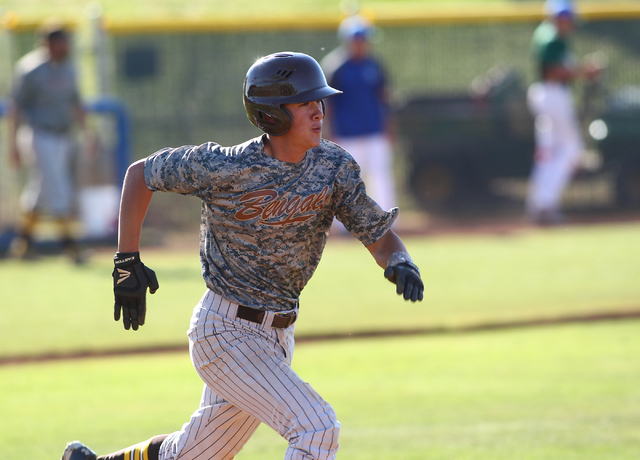 Bonanza (6-3) took a 5-4 lead in the fifth inning on Taft’s run-scoring single and had runners at first and third with two outs against reliever Ryan Jackson. 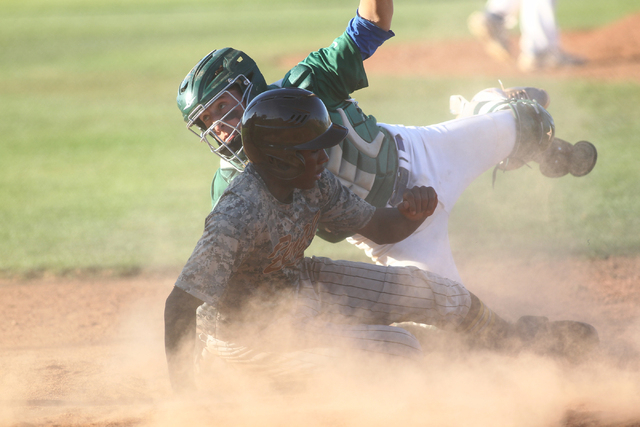 Gators catcher Cody Milner tried to pick off Taft from third, and his throw appeared to be there in time. But Taft was called safe after the umpires had a brief discussion, giving the Bengals new life. 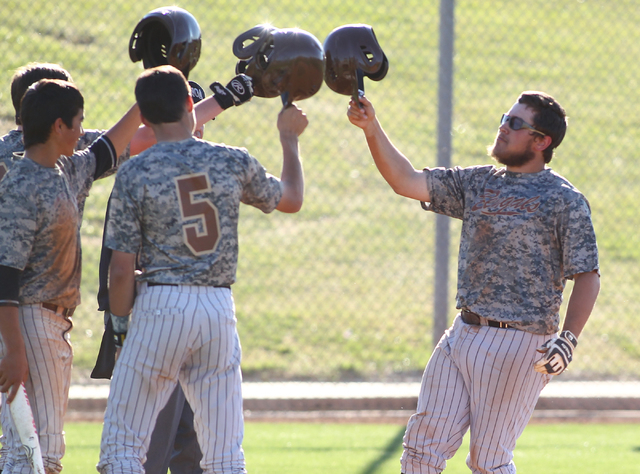 Two pitches later, Werner launched a 3-1 pitch over the left-center field fence to cap a five-run inning and put Bonanza on top, 8-4. 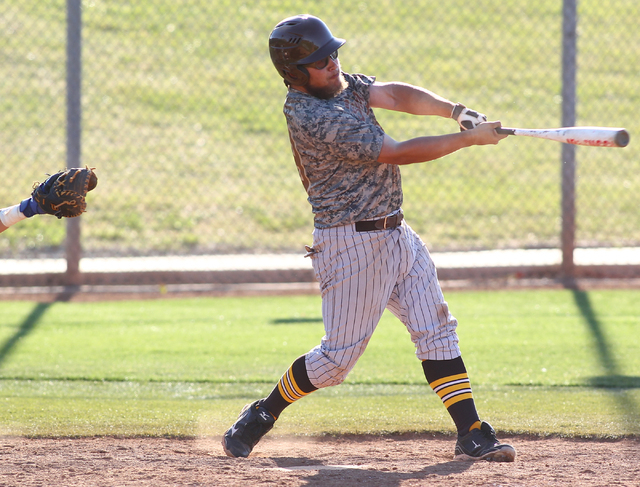 Werner finished 4-for-4 with three RBIs and scored twice. 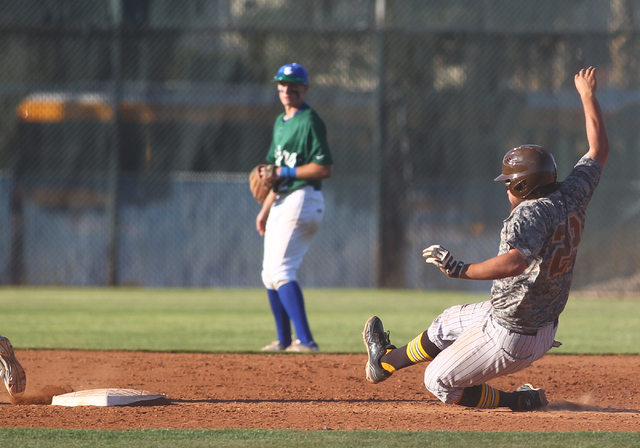 The Gators (6-3) got a run back in the bottom of the fifth against Taft as Milner led off with a double and eventually scored on a wild pitch. 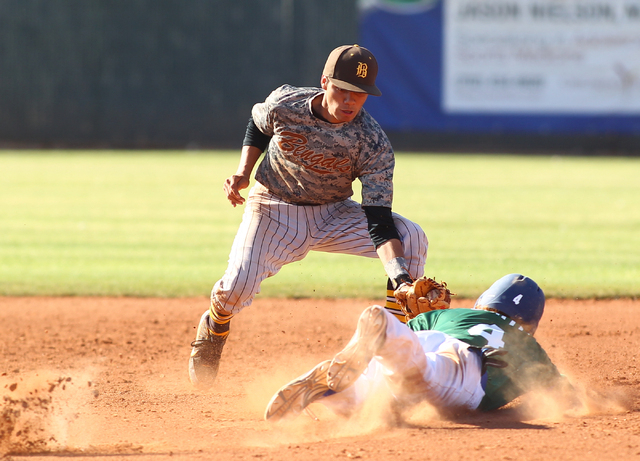 But Troy Cropper popped out to Taft to end the game with runners on first and second. Taft pitched a complete game and finished 2-for-3 with three RBIs, while teammate Hunter Junge was 3-for-4. Junge also threw out two runners trying to steal. 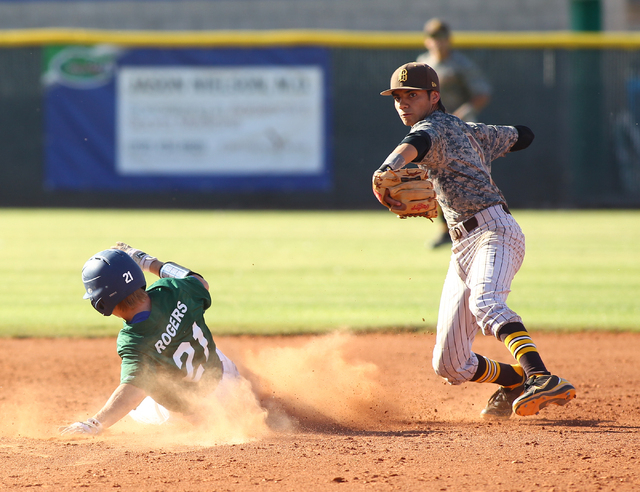 Green Valley scored three times in the second to erase an early 3-1 deficit. 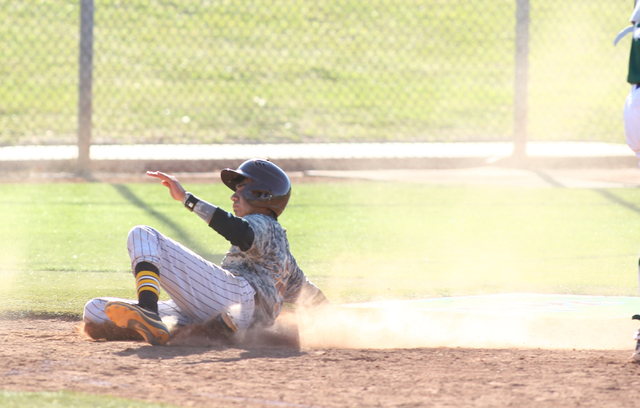 Jarod Penniman laid down a perfect suicide-squeeze bunt for the first run of the inning, and Milner added a run-scoring groundout. Garrett Rogers had two of the Gators’ seven hits. Contact reporter David Schoen at dschoen@reviewjournal.com or 702-387-5203. Follow him on Twitter @DavidSchoenLVRJ.